“Oikos” means “family” in Greek – and the group of friends who call themselves Oikos have become an important part of the RMH BC family in the past four years. This April, they are cooking their 50th meal in the House and we caught up with the group’s founder Jordan Craig to find out what inspires him to give back. Kitchens are the heart of a Ronald McDonald House. In our four kitchens, families can sit down together after a long day, swap stories with others facing similar situations, and take comfort from generous community groups who come to the House ready to to cook for 100. For the past four years, Jordan Craig and the Oikos group (“not the yogurt people”) have been cooking meals and bringing comfort to families at RMH BC every month. It all started with a small group of friends sitting around a table looking for ways to make a difference locally. Jordan doesn’t remember who first pointed them toward the Family Meal program at Ronald McDonald House, but after their first meal in January 2015, he was hooked. 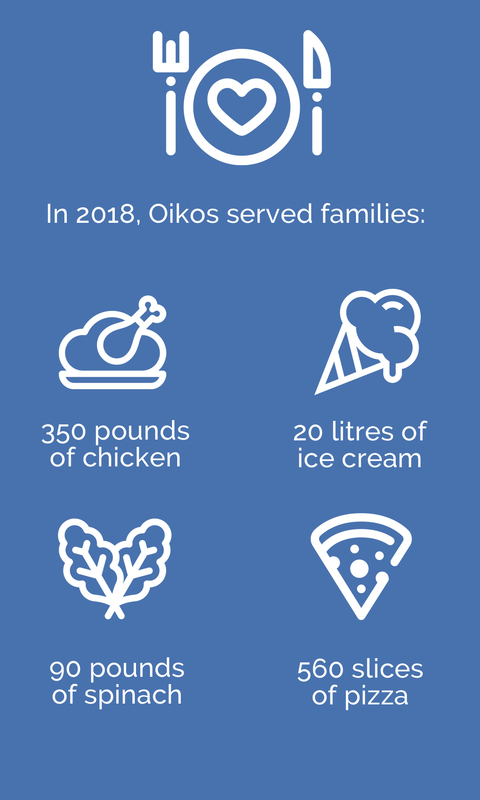 The Oikos group has now grown from 5 or 6 couples into a rotating group of 50 friends, all united by the desire to make a difference to families and bring people together with food. As their meal group has grown, so have their own families – it is not unusual to see a member of Oikos cooking up a storm with their new baby in a carrier. 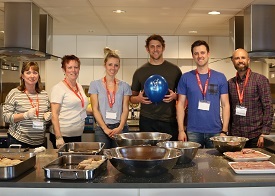 Jordan’s advice for anyone thinking of cooking a family meal at Ronald McDonald House? 1) Don’t be intimidated by the quantity of food! It can seem overwhelming, but the meal will come together and the more times you come, the more confidence you will have. 2) Don’t be afraid to sit down with a family for dinner. That’s one of the most rewarding experiences we have had! Food helps break down barriers and having a hot meal in front of you makes it easier to talk to people.